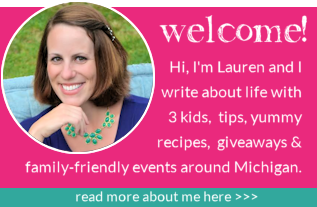 Sloan Museum is a blog supporter and advertiser for Mrs. Weber’s Neighborhood. All opinions expressed belong to me. If there is one thing I really love, it’s when learning is combined with activity. I’m a big believer that we all learn best when engaged — physically and visually. 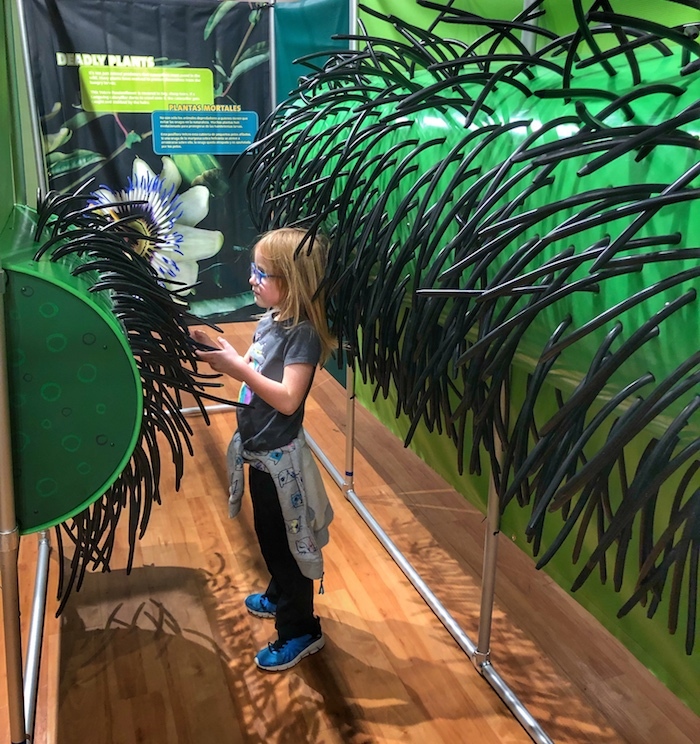 Our family recently had the opportunity to visit the Rainforest Adventure at Sloan Museum inside Courtland Center Mall, and had a blast exploring not only our senses, but also learning about rainforests and butterflies. My two sensory seekers had a blast running through the maze, climbing a spider web, leaping like tree frogs and swinging like spider monkeys, and my always-needs-to-know-everything gal had fun reading everything she could and taking her time learning. It truly had something for all learning types! 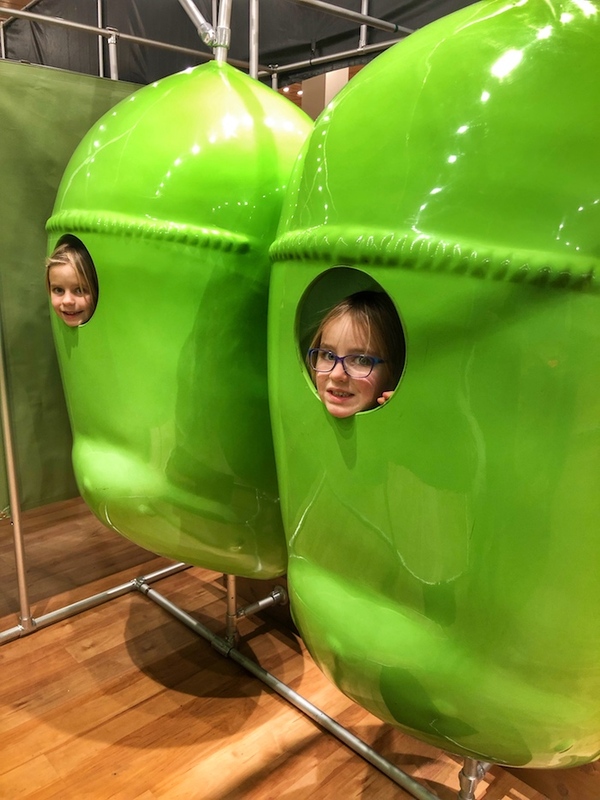 This special exhibit is open in the Courtland Center Mall in Burton, Mich. through April 24, 2019. 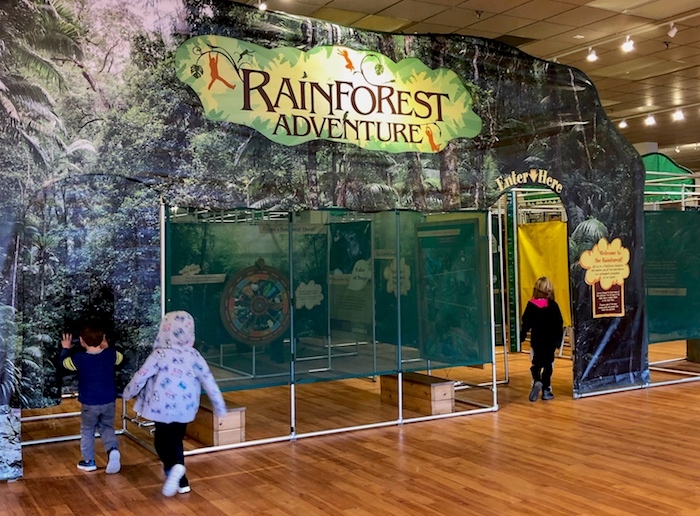 Children are welcome to explore one of the least-known habitats on Earth in two fully interactive mazes — Rainforest Adventure and Tropical Odyssey. 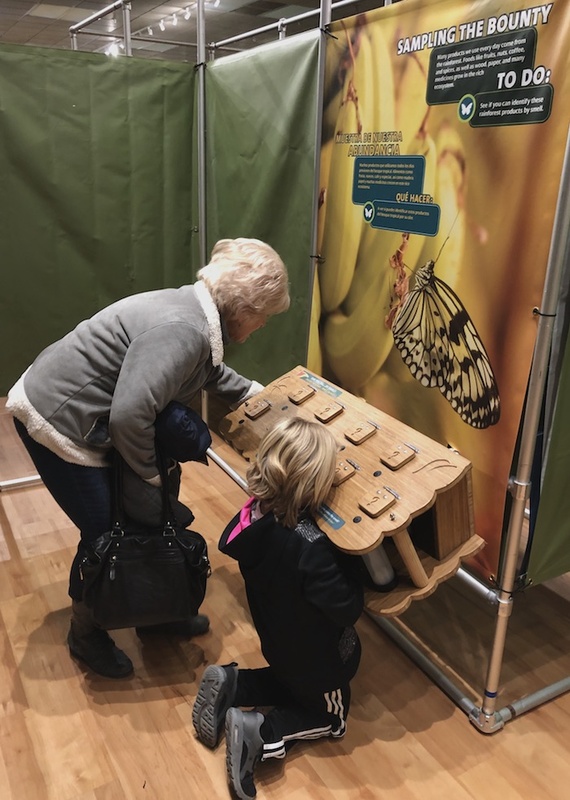 Throughout each maze, visitors are encouraged to answer questions to progress from the canopy to the forest floor, and follow the lifecycle of a butterfly as you explore sustainable butterfly farming in the rainforest. Along the way, there is plenty of fun to be had! 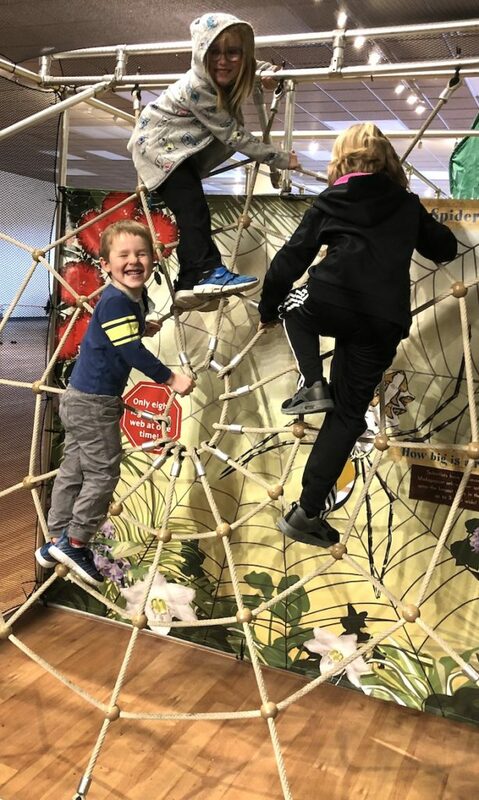 Who can resist climbing a spider web? Throughout Rainforest Adventure, explorers can learn about the dense layers of the rainforest and meet its diverse inhabitants, ranging from sloths to frogs. 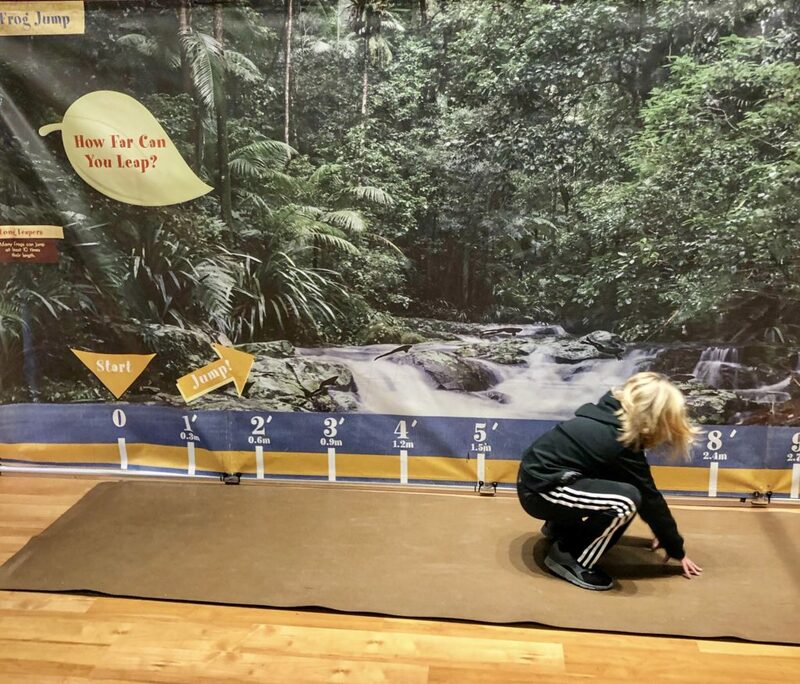 Visitors can experiment with physical and mental challenges as they descend through the four layers of the rainforest. By the time visitors reach the forest floor, they are better equipped with an understanding of how humans impact this diverse yet fragile forest, and how they can make a difference. On the other side of the space, the Tropical Odyssey maze tells the story of sustainable butterfly farming in the rainforest. 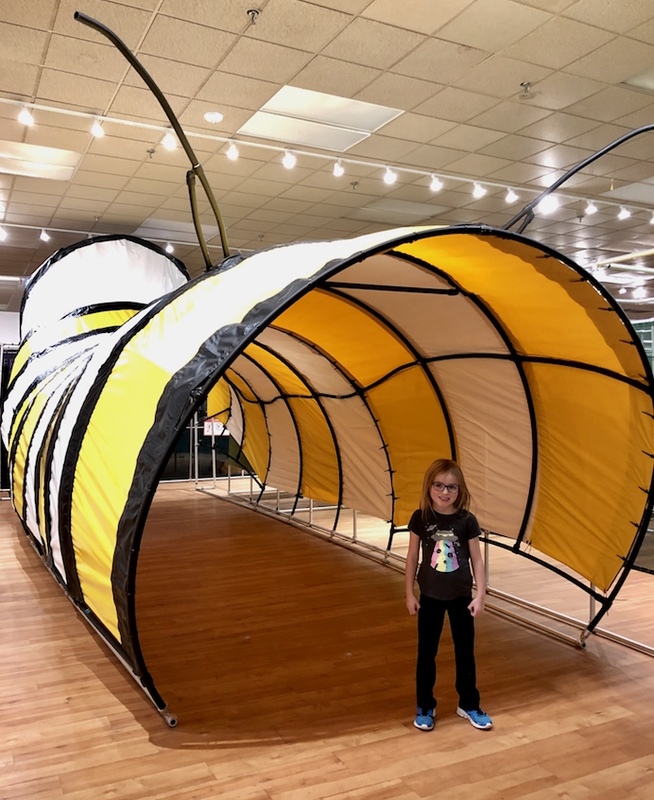 Kids can follow the lifecycle of a butterfly as they immerse themselves in the story of sustainable butterfly farming in the rainforest. 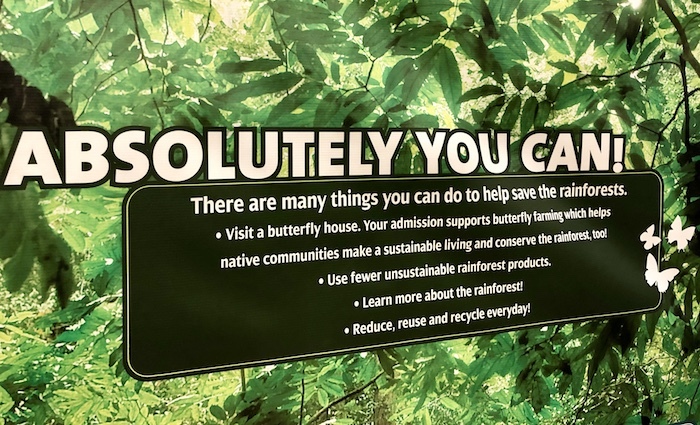 Discover sustainable and unsustainable rainforest practices, rescue caterpillars from predators, help feed them and even zipslide through the rainforest canopy. This exhibit is recommended for ages 4+. Sloan Museum currently is located inside the Courtland Center Mall in Burton while the Flint Cultural Center location is closed for renovations. The exhibit is surrounded by historic vehicles from Flint & Genesee County history and the Wisner’s Whizbang Emporium family gallery is inside as well. My kids always love checking out the cars and playing in the incredible play space where imaginations can come alive! We can’t wait to see what exciting updates will be made at the museum in Flint. 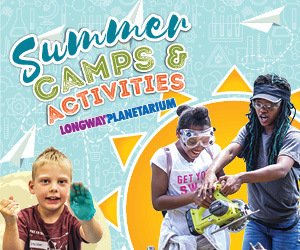 If you’d like to pack lunches or snacks, there is a dedicated area with tables outside the exhibit to enjoy food, and there are also some small snacks and drinks to enjoy in the gift shop. The mall does not have a food court, but there is a Mexican restaurant called El Cozumel Mexican Grill inside. Otherwise, there are plenty of dining options surrounding the mall. There are restrooms inside the exhibit, including a family restroom. For breastfeeding mamas, there is a private mother’s room available near the kid’s play area. 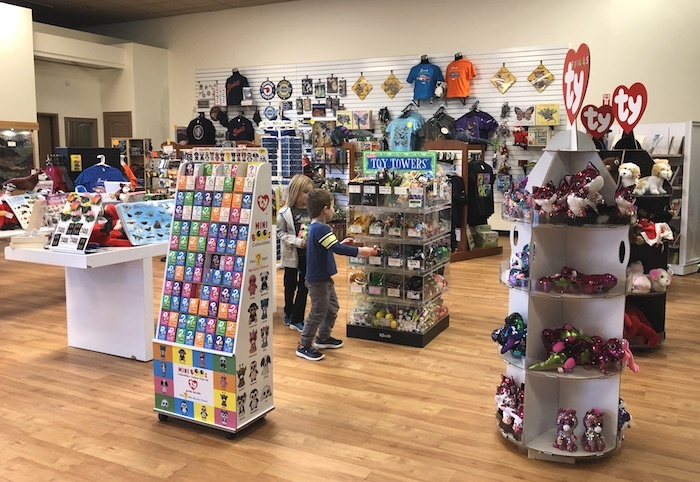 There is a gift shop at the entrance/exit. There are lots of neat things, but it’s easy to bypass if budget doesn’t allow for a trinket. Other Discounts: FREE for ASTC members, veterans, active duty military families, and teachers! Genesee County residents and members may call 810-237-3450 to purchase tickets in advance. Tickets are also available at the door. Non-resident tickets will be available to purchase online soon. In addition to regular tickets, birthday packages are also available and cost $100 and up. The Courtland Center mall is located at 4190 E. Court St., Burton, MI 48509. 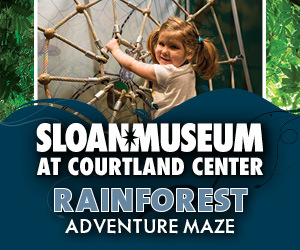 Sloan Museum is accessible through the Court St. mall entrance, next to El Cozumel Mexican Grill. Sunday: 12 p.m. – 5 p.m. Last admittance at 4:30 p.m. Learn more about the Rainforest Adventure at the website. You can also follow Sloan Museum on Facebook, Instagram and Twitter to learn more. 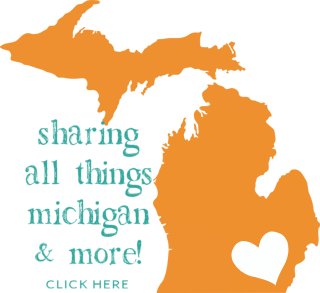 Additionally, there are some other really fantastic options for things to do in Flint, and many are low-cost. Here’s a list of extra fun to experience in the area!